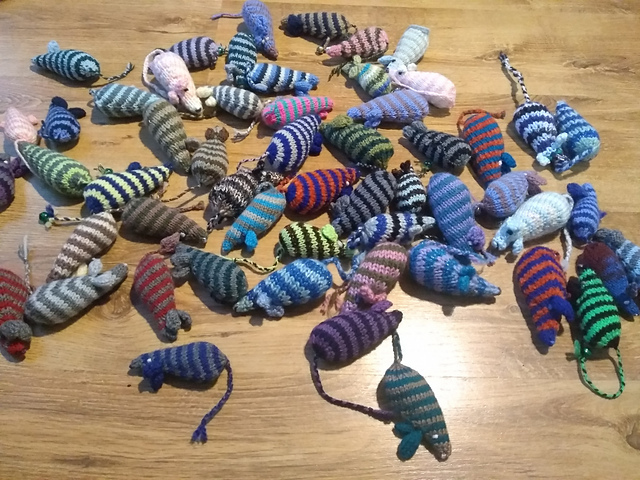 Home › Cats › Mice! Some of you may remember this time last year I was knitting fish for Felix’s birthday party, it was for a game called ‘Feed the Shark’. This year it’s been demanded to make a return but, seeing as this year’s birthday theme is cats, not Octonauts, we’re going for ‘Feed the cat. And what do cats eat? Seeing as I don’t have a photo of the finished game (yet!) 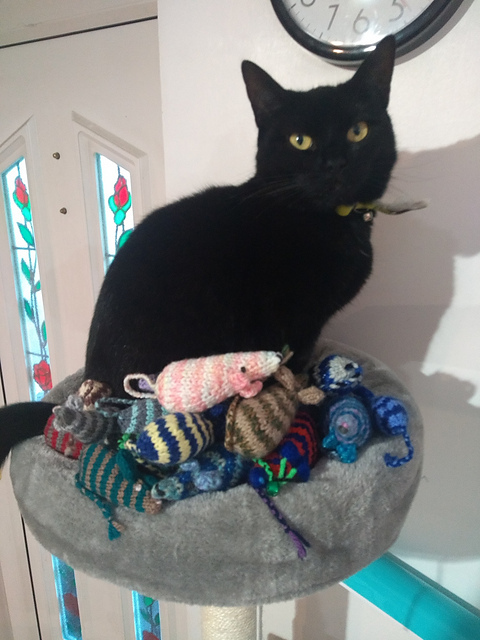 I’ll reward you all instead with a photo of Dashie being Queen of the Cat Scratcher, Hoarder of knitted mice! Alright, enough of me whining, wool count time! That’s one of the plans! Will depend on how hyper the kids are though before so add more fuel to the fire!